Campfires are set up near the middle boardwalk. Spectrum Resorts guests receive 10% off beach campfire packages. The Fun Doesn’t End When the Sun Goes Down! When the sun goes down, we’re just getting started. 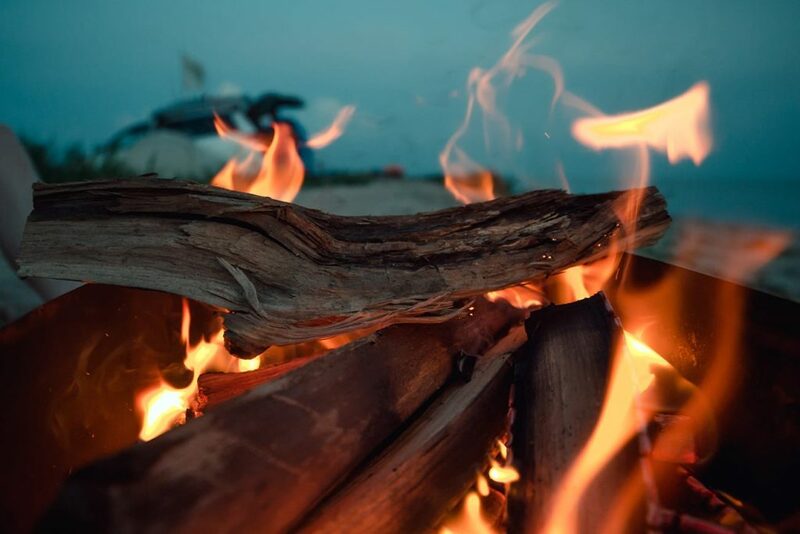 Your family can enjoy sunset or night-time campfires on the beach. Kick back in our beach chairs and show off your perfect recipe for s’mores. Our campfire packages are a great option for family reunions, rehearsal dinners, or even just ghost stories with the kids. Reserve your campfire package in advance with your reservations agent and all Spectrum Resorts guests will receive a discount of 10% off. Choice of beer (minimum of 2 cases/cans) and wine (minimum of 2 cases/single serve bottles), and large pizzas can be added for an additional charge. *Choice of beer (minimum of 2 cases/cans) and wine (minimum of 2 cases/single serve bottles), and large pizzas can be added for an additional charge. Basic fires must be booked 48 hours in advance by credit card only. Premier fires must be booked at least 7 days in advance. Limited availability. Maximum of three bonfire reservations per night. Blackout dates: July 4th, Thanksgiving, Christmas Eve/day, News year’s eve. All Additional Fees and Campfire Package Pricing are Subject to a 20% Service Charge and Tax. 100% cancellation fee for any campfire canceled after 4 p.m. the day before the event. A weather call must be made by 4 p.m. on the day of the bonfire. In the event that the contact cannot be reached to make the call and the forecast is greater than 60% chance of rain or winds of 10mph or greater, The Beach Club reserves the right to cancel. There is no charge for a canceled bonfire due to inclement weather. There are no refunds or rain checks for inclement weather during a confirmed scheduled bonfire. We reserve the right to use our discretion in the service of alcoholic beverages. Request for additional items (beer and wine excluded) or rescheduling must be made before 4 p.m. the day before the event. We recommend bringing flashlights as there is no existing light on the beach after sunset due to sea turtle nesting. Bonfires will be set up off the middle boardwalk.